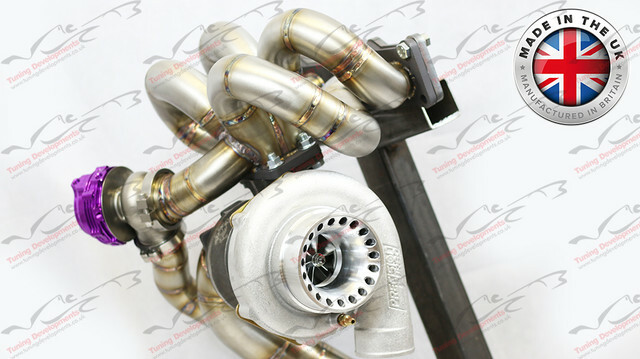 Another new launch from Tuning Developments, our 3SGTE Precision Billet CEA Series Ramhorn Turbo Kits! Available for the 3S-GTE in both Rev2 & Rev3 Fitment (ST185 & ST205 respectively) the Precision Ramhorn Series Kit is what you need to make the most of your Celica GT4, All-Trac or MR2 Turbo! A range of turbo options are available depending on the requirements of the customer, this kit can support from 350bhp to 900bhp! Each kit comes with all parts to bolt to the engine and exhaust, including nuts & bolts! Depending on intercooler setup the piping may need slight adjustment to suit the larger turbo. 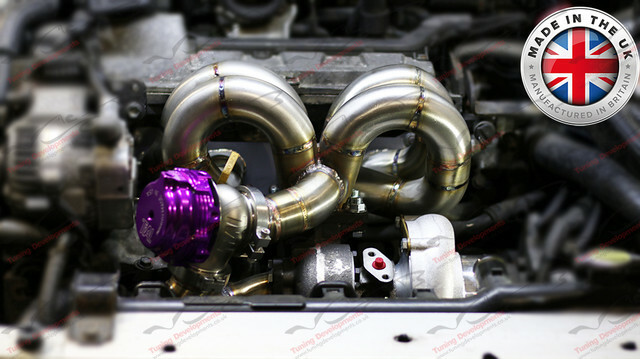 All our kits include our Ramhorn Thick Wall Exhaust Manifold which has been designed for optimal flow and close to equal length design to aid with maximum performance, wastegate positioning has also been designed with correctly sized 44mm Wastegate to ensure perfect boost control at all times! Our Exhaust Manifolds are fully Designed, Built and Welded in house with our professional fabricators/welders to the highest standards ensure perfect performance, reliability and fitment at all times, We use only Genuine Precision Turbochargers and Genuine Tial Sport MVR 44mm External Wastegates to guarantee reliability and ultimate performance from your Toyota Celica GT-Four, All-Trac or MR2 Turbo. Manufactured in house, here in the UK from the highest quality components, the Tuning Developments Precision CEA Series Ramhorn Turbo Kit is the ultimate choice for boosting your 3SGTE's performance in either an MR2 Turbo or Celica GT-Four/All-Trac! Our kit allows for simply installation and is fully compatible with factory Alternator, Aircon and all standard and aftermarket Radiators! Will Require Slimline Radiator Fans installed. See our other listing here for our Full Bolt On Ramhorn Turbo Kit options including everything needed to fit. Full fitting is available at our workshop at competitive rates, along with engine, drivetrain, fueling, braking and suspension upgrades, aswell as ECU mapping on our state of the art inhouse 4WD Dyno Dynamics Rolling Road! Trade Enquiries welcome on all our Full Turbo Kits, Contact us direct for further details.